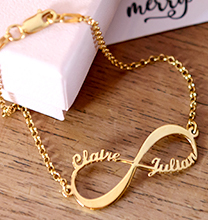 Treat her to a piece of custom engraved jewellery that shines just like your love: Our Heart Necklace in Rose Gold Plated! This exquisite pendant is versatile enough to pair with everything she wears, yet it is so much more than a simple accessory. A true emblem of romance that celebrates the bond between you, it comes with beautiful personalised touches that make it one of a kind. Just right for anyone who loves the soft, romantic glow of rose gold, this necklace features a sweet, heart-shaped pendant with a classic profile. 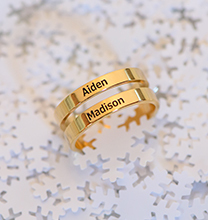 Make it unique by personalising the front with each of your first initials and a special anniversary. If you like, you can customise with names, nicknames, or a sweet, short sentiment instead. You may leave the back blank, or you may have it personalised with a special inscription as well. The choice is yours – let your imagination and your heart be your guide! 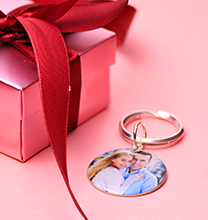 Once you decide how you’d like to customise this very special token of your love for her, our skilled artisans will carefully personalise the pendant, exactly as ordered. 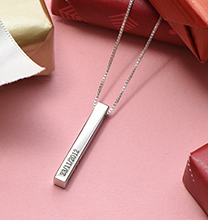 This beautiful necklace is the perfect gift for Valentine’s Day, an anniversary, or any other occasion that calls for something extraordinary. 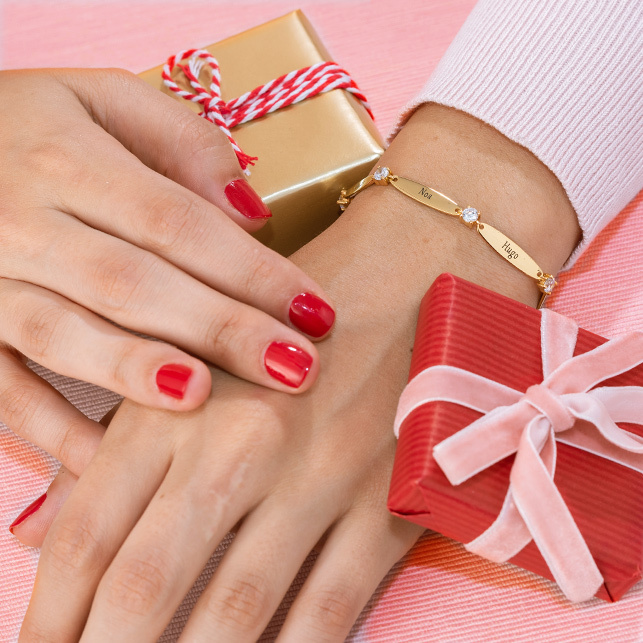 It is made with 18ct Rose Gold Plated Sterling Silver (0.925). The pendant hangs from a matching Rose Gold Plated Rolo Chain. 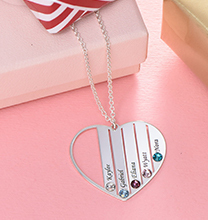 We invite you to view our heart pendant collection for additional options, including this romantic style in your choice of Sterling Silver or 18ct Gold Plated.